Love is never easy. It's especially difficult when you love a Marine. I knew the risk when I said "I do", but I chose to love anyway. In a flash, he was taken from me, and now I'm alone. Struggling and desperate. There's no hope, no future. Just the endless cycle of day-to-day survival. But a letter returned could change all of that. Hope and love often come from the last place you'd think to look, when you least expect it. I was a lost, broken soul, tortured by the memories of what I'd endured. When I visited that old farmhouse in rural Texas, all I wanted to do was return the letter. Keep a promise to a friend. What I got was healing. Understanding. The chance to find a measure of peace when all I've ever known is war. We both lost everything. But in each other, we found something worth fighting for. I am a mess after reading this book, but in a good way. What an emotional roller coaster, yet so worth the ride. Have a couple kleenex's available, and be prepared to get nothing done around the house or work...you will have a book hangover. Well done Mr. And Mrs. Wilder! Bravo! Wow! What an amazing read. I could not put it down. 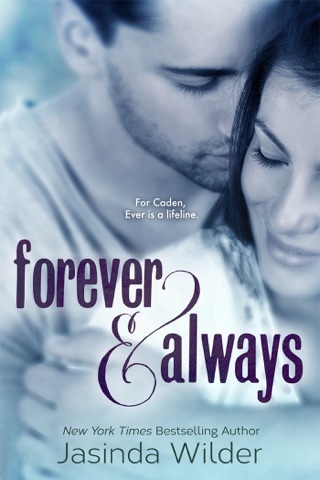 Jasinda and Jack truely captured what life is like after love, loss, heartache, and pain. The lives that Marine Corps families live are not easy. Marines are deployed everyday and their wives do everything they can to show them the love and support they need, while keeping themselves so busy that they don't have to think about the dangers their husbands are facing. I know what this feels like because I was the wife of a Marine and it is the hardest thing I have ever had to do in my entire life. He was deployed for 6-months while I went to school and worked three jobs to keep my mind off of what he was facing. The letters are the one thing that kept me going. I wrote to him every other day and when I would get a letter back it would be like time stood still and I would read those letters over and over again until the ink began to fade. Every night before I went to bed I read the letters and every morning when I woke up. I needed him with me and that is how I made it work. The letters in this story are heart-wrenching and full of love and devotion. Jasinda and Jack did their research and gave us something so beautiful, and so real that is brought tears to my eyes. It took me back 20 years ago when I was writing those letters. But, enough about me. 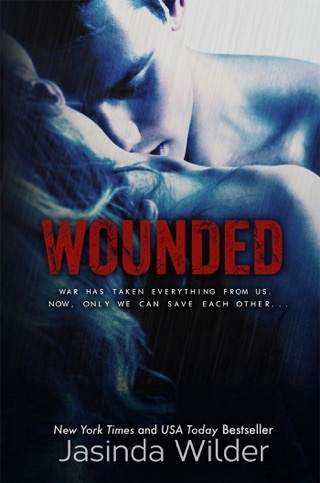 Reagan and Derek are two lonely souls that have been ravaged by war and loss. Both are dealing with shell shock. Reagan just can't do it again. She can't take the risk that her heart with be irrevocably broken and Derek is seriously wounded mentally after being a prisoner of war. He is skittish and easily startled. The journey to recovery for Derek is painful, emotionally and physically. His return to civilian life is toilsome as he has to conquer his demons everyday. Reagan Barrett is tough. She is a widow and has been running her husband's family farm on her own for the past ten years, all while being a single mom. She has the amazing support of her neighbors Hank and Ida who have become her extended family. Reagan has buried the idea that she will ever fall in love again. 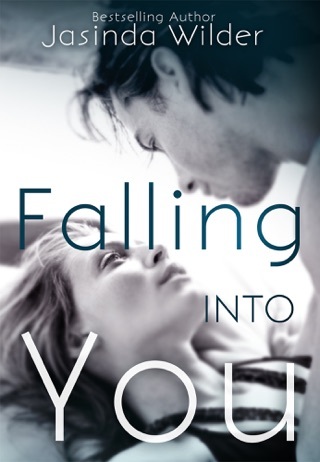 When Derek West shows up on her doorstep all of the feelings she has buried start to come to life and Derek ignites a passion in her that she never knew existed. The chemistry between Derek and Reagan is off the charts, HOT. Will these two broken souls be able to recover from all the wounds that war has inflicted upon them and find their happlily ever after? You will have to read Captured to find out. Thank you Jasinda and Jack for a truly amazing story full of love, and loss and giving others a glimpse into the life of a Marine Corps family. Marines go in first and are the last to leave. They are tough and strong and their wives are amazing women who are selfless and give love easily to their husbands and others around them. Captured is a must read for anyone that wants to know what it is like to be a Marine Corps wife.